I am working with a poet on a project for NH Women’s Caucus for Art called Text and Textiles. Eleven New Hampshire poets have selected eleven WCA/NH visual artists for a collaborative project called Text and Textiles. This project was conceived by artist, Kate Higley, member of the NH Women’s Caucus for Art, and our NH Poet Laureate Alice B. Vogel. They and and WCA/NH member Kate Dean have arranged for an exhibition at the Hancock Town Library from May 12 to June 21, 2018. 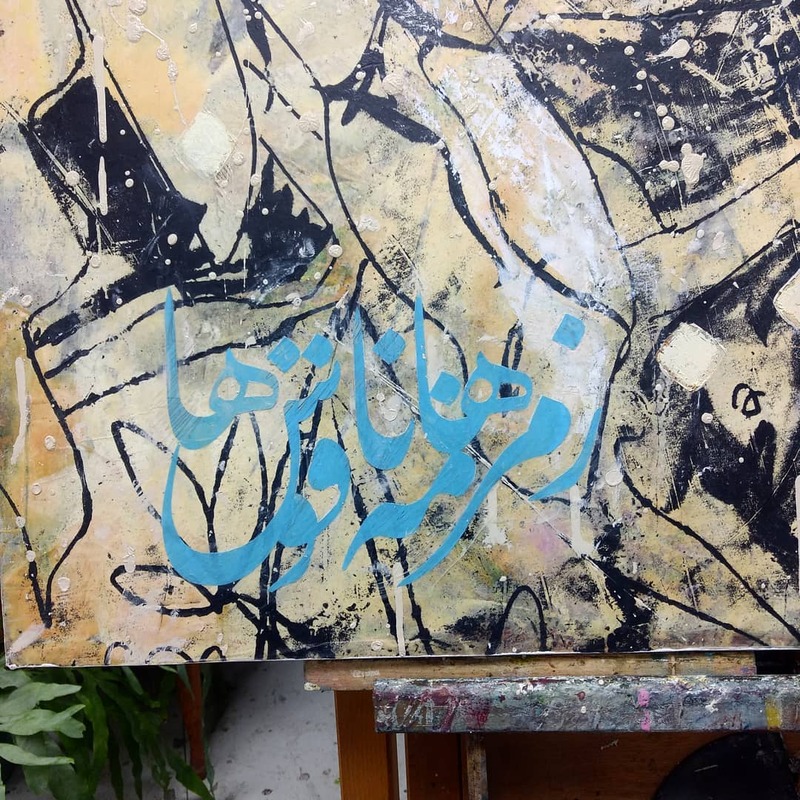 Ala Khaki, an Iranian poet now living in Amherst, NH, and I are collaborating on a painting and a poem. I asked him if he would put the poem in Persian Farsi script and I’m trying to use the text as a visual element. Not difficult when script is as beautiful as his calligraphy. The script excerpt is a line from his poem “Entreaty”. it reads “my breath is your breath”. I’ll post the whole poem in a future post when the painting is complete.